Come celebrate the diversity of our school community at the Thompson International Festival Saturday, on March 16th! The International Festival is one of Thompson’s long-running traditions. It is an opportunity for students to explore the world by learning about each other’s heritage. Discover geography, history, traditions, languages, expressions of art, music, dance, literature, games, food, religion from many of the various countries and cultures that are represented at Thompson. The event includes a kids Fashion Show, Arts & Crafts from around the world, the Bazaar of Countries, an International Café and Continent themed Raffle Baskets. To allow families time to plan here are 4 signups to start with. Please sign up by March 8th. Watch this space for additional signups. KIDS FASHION SHOW Kids can participate in the Fashion Show by wearing the traditional outfit of a country. The child’s name and country they represent will be announced and they will walk down the runway as the community gathers around and cheers for them. BAZAAR OF COUNTRIES This is your chance to share the things you love about your family’s culture with the greater Thompson community! Bring in books, decorations, images, toys, instruments, etc. to display. Share information about foods, animals, languages, celebrations – about your country of origin, adopted country, or country of interest! Interactive components that will engage students and adults alike are encouraged. Some examples from our 2017 International Festival include: Origami at the Japanese table; a “guess the spice” game at the India table; photo booth at the Scottish table; and Canadian trivia questions at the Canada table. Team up with other families to host a country table. We would love to have as many countries as possible represented in our Bazaar of Countries! INTERNATIONAL CAFE Desserts made by you will be available, along with other donated and purchased food, to create a delicious feast for all. This is your chance to share with other families delicious desserts you make at home! RAFFLE BASKETS Each grade will sponsor a basket to be raffled at the end of the event as an easy and fun way to raise funds for our enrichment programs. Each grade is assigned a continent and you can help by making a contribution. Go to your child’s grade sign-up for ideas and please provide details on the item you are donating so we don’t have duplicates. In a rush, cash contributions are also accepted so that they can be pooled to buy additional items. We had a great experience with Bash the Trash last week! Their performance included music from styro-cellos, tube trumpets, refrigerator-drawer gongs, and more. It really opened our minds to the possibilities for recycled instruments. After students made their own drums, shakers, horns, and string instruments in their classroom workshops, we finished up with a parade through the halls on Friday afternoon. If your kids want to continue making more instruments at home, you can find instructions on the Bash-the-Trash website. A big thanks to all the volunteers that helped make this event a success! There has been lots of other enrichment going on at Thompson since the beginning of the year. In January, fifth graders had a visit from the Museum of Science’s States of Matter program, first graders enjoyed a sound workshop from the Discovery Museum, and kindergartners learned about marital arts from Nathan’s Ninjas. More is on the way in February and March! This week, Veronica Robles will present Dancing with the Colors of Mexico to first graders, and fourth and fifth graders will hear from visiting author Holly Goldberg Sloan. After February vacation, Kindergartners will have a visit from Animal Adventures, and fourth graders will learn to make flashlights with Circuit Lab. Several grades have field trips in March as well: first grade will be visiting the Discovery Museum, second grade will go to the Japan House at the Children’s Museum, and third grade will visit the Royall House Museum. In conjunction with International Festival, the whole school will enjoy a performance by Afro-Brazilian Ensemble, featuring Brazilian martial arts, music, and dance. Last week, the Thompson Diversity and Inclusion Group (DIG) hosted “Having Courageous Conversations about Race with Our Children” to over 160 APS parents. Given the high level of interest, next steps are being planned. Attendants are encouraged to complete the CourageousConversationsSurvey. All are welcomed to additional CourageousConversationsResources. 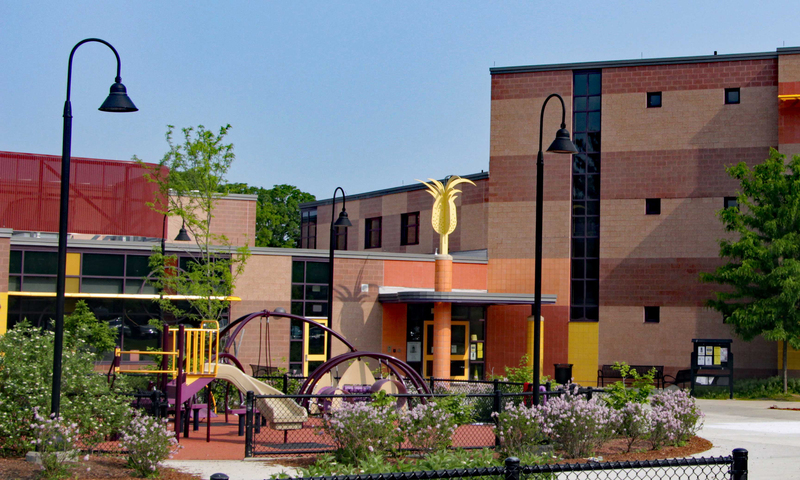 A parent-led DIG has formed at each APS elementary school, with the overall mission of reinforcing diversity, equity and inclusion in the APS. If you are interested in getting involved with the Thompson DIG, please email ThompsonElementarySchoolDIG@gmail.com. Green Team was busy with Bash The Trash last week! The 4th graders got the word out about BTT and started writing petitions about single use plastic pollution. Room 210 sang their Don’t Make Trash song at the assembly and led the parade. The Green Team club filmed BTT including an interview with the 5th graders and BTT staff for the Green Team club video podcast entry. Ms D’Intino’s 5th graders worked on their Podcasts for the Planet. 5th graders can sign up for a Green Team Video Podcast Workshop at ACMi Studio B Wed. Feb 20th noon-4:30 pm and make our club NPR Student Challenge entry during vacation week. Please complete the Green Team video release to participate and email Elizabeth Rocco at egrocco@gmail.com to register. All are welcome to join us in making our Thompson Trashformation for Ecofest after school Mon. Feb. 25th in room 210! The Arlington High School Student Council presents: Kids’ Night Out! An RSVP is recommended, but not required. Kids can stay for the whole three hours, or just come for an hour or two! The cost is $20 for the first child, and then $10 for each additional sibling. All of the proceeds from this event will be going towards the AHS Student Council mini-grant fund, a new program that gives grants to AHS clubs, and allows Arlington students to go out and do incredible things. This event is organized and run by high school students, but there will be an adult advisor present at all times. And in the incredibly unlikely event of injury, we have people who are CPR certified and first-aid certified present at the event as well. Please include your phone number as well as your child or children’s: Name(s), Age(s), How long they plan to stay, and any dietary restrictions they have. If you have any questions, don’t hesitate to email us! We hope to see you there! The plans for a new High School progressed this week as the AHS Building Committee voted to submit an approximate project budget of $291M to the Mass. School Building Authority (MSBA). This represents a $17M decrease from the original project estimate of $308M. Current construction timeline estimates indicate the first building will be open to students in 2022. To move forward, the project must have the approval of Arlington voters and a June 11th special election will take place to fund the project through the passage of a Debt Exclusion. Visit www.ahsbuilding.org for design concept diagrams, blogs, cost information, an extensive FAQ and more. Join us for a Community Meal on Thursday Feb 14 at 6pm and School Vacation Lunches Tuesday – Friday Feb 19-22 from 12:00 to 1:00pm. Come party with us at our yearly fundraiser, Beats for EATS, Saturday, March 23, 2019, 7 PM – 11 PM at the Town Hall. Don’t wait to get your tickets, last year we sold out!